You already know that good oral hygiene is fundamental to having healthy teeth and gums. However, daily life can sometime interfere with strict adherence to a good dental hygiene regimen. It’s therefore essential to supplement regular dental check-ups with routine visits to the dental hygienist. Hygienist treatments include a thorough assessment of the health of your teeth and gums and the gentle removal of any stubborn plaque and tartar build-up around the teeth and below the gum line that simple brushing alone cannot always remove. Plaque and tartar, if left to their own devices, can cause significant problems associated with gum disease and tooth decay. Our experienced dental hygienists work with our dentists to provide you with the very best in oral health care. Not only do they give your teeth a deep clean, which can improve your teeth’s appearance instantly, but they will advise you on how to maintain your oral health through proper brushing and flossing technique. 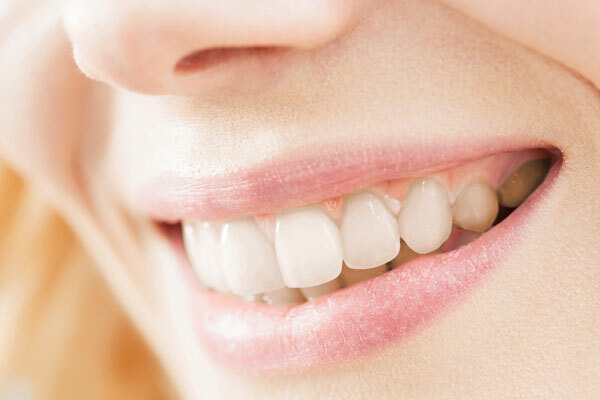 Their advice is especially important for those patients with severe gum problems such as gingivitis and periodontitis, and for those who have had extensive reconstructive work such as implants. Most people have bad breath problems at some time or another, and in nine out of ten cases the cause originates within the mouth. Bad breath can be a social problem, unpleasant for others and embarrassing for the person who has it. Research shows that it may also indicate gum disease, such as gingivitis or periodontitis. Therefore, a comprehensive oral hygiene regime is very important to keep your breath smelling fresh. To keep your breath fresh, gum disease (if present) must be treated and an effective oral hygiene regime adopted. Also, drink water often and eat plenty of fruit and vegetables. If you do have bad breath, try keeping a diary of all the foods you eat and list any medicines you are taking, which could be adding to the problem. Take this diary to your dentist who may be able to suggest ways to resolve your bad breath. Brush your teeth and gums twice a day, and don't forget to cleanse your tongue as well. Use dental floss once a day for cleaning between your teeth. There are other products you can buy to clean between your teeth. These are called 'interdental cleaners'. If you wear dentures, take them out at night to give your mouth a chance to rest. Do not clean them with toothpaste as it will scratch the surface and more stains will build up. They will also lose their shine. Hold them over a bowl of water or a towel in case you drop them. Clean them thoroughly with a denture cream, denture-cleaning tablet or denture-cleaning powder. Use a denture brush kept just for this purpose. Remember to clean the surfaces that fit against your gums and palate. This will make sure your dentures are always fresh and clean, and avoid the plaque build-up on the dentures that may cause bad breath. You have the choice between those containing alchohol, or not, with sweetener or without and flavoured or non-flavoured. Most mouth rinses are designed to last up to eight hours. Are convenient for your pocket, handbag, car or whenever you are away from the bathroom and want reassurance of fresh breath. Some do not contain sodium lauryl sulphate (a foaming detergent) and are therefore non-foaming. This means your mouth does not fill up with suds, as is the case with most normal toothpastes, and you can continue cleaning your teeth for longer, which is preferred by many dental professionals. Ordinary toothpastes and mouthwashes only cover up these compounds with a more pleasant smell or flavour. The VSC are still present, causing odour in the mouth. However, the ingredients in the specialist toothpastes, oral rinses and sprays actually change the structure of the VSC molecules, rendering them odourless. Tobacco also causes its own form of bad breath. The only solution in this case is to stop smoking. As well as making your breath smell, smoking causes staining, loss of taste and irritates the gums. People who smoke are more likely to suffer from gum disease and also have a greater risk of developing cancer of the mouth, lung cancer and heart disease. Ask your dentist, pharmacist or practice nurse for help in quitting. If you do stop smoking, but still have bad breath, then you need to see your dentist or GP for advice. Chances are we all know someone who has bad breath, but very few people feel brave enough to discuss the problem. It is obviously a very delicate matter to tell someone they have bad breath. There is always the risk that they will be offended or embarrassed and may never speak to you again! However, it is always worth remembering that the bad breath may be the result of any number of problems. Once the person knows they have bad breath, they can deal with whatever is causing it. You could try talking to their partner or a family member, as the bad breath may be caused by a medical condition, which is already being treated. You may like to tell a friend about this website. Remember, the bad news is that oral malodour is a serious social plight and can sometimes be an indication that there is something medically amiss. The good news, however, is that it is treatable! You'll probably need the treatment area to be numbered before anything is done. Afterwards, you may feel some discomfort for up to 48 hours. Periodontal disease is never cured. But as long as you keep up the home care you have been taught, any further loss of bone will be very slow and it may stop altogether. However, you must make sure you remove plaque every day, and go for regular check-ups by the dentist and hygienist.